The MKG instructors are always available for personalized training and technical instruction through private lessons. We have a three-tier system for lesson pricing. Each instructor has been hand selected by Andy Wilson and has hundreds of hours of class time under their belt. Tier 2 Instructors have achieved additional credentials or are at a higher level of instructor certification. Don’t know who to choose? We can help you select your private lesson instructor based on the areas you want to gain additional training in and your schedule. Our instructors are a great alternative to the standard personal trainer or executive fitness training. 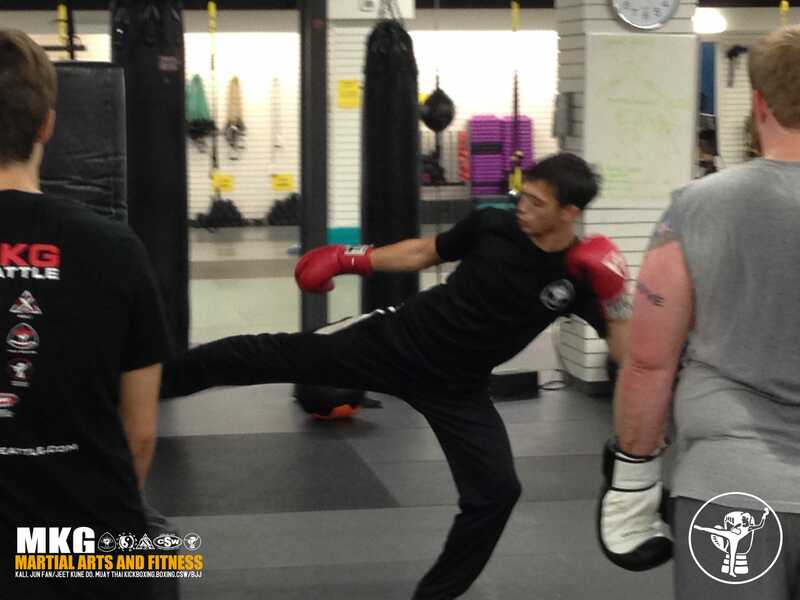 Lessons in boxing, kickboxing, strength and conditioning and more. * Prices quoted are for on-site only and subject to change. Off-site training requires additional fees but may be more convenient for you. Call 206-789-2411 or register below for a quote. If you’re interested in our programs the first step is as easy as filling out the form below or calling 206-789-2411.